J.R. was elected to the City Council in 2015. J.R. grew up on Boehme Street near the entrance to Dellwood Park; and he is a 1976 graduate of Taft School and a 1980 graduate of Lockport Township High School. After high school J.R. attended and graduated from Illinois State University with a Bachelor of Science degree in Business Administration. J.R. currently lives in Lockport with his wife Laura and their daughter Norah. 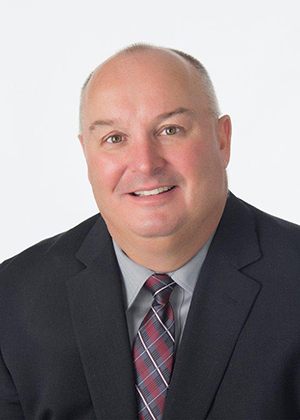 J.R. is the Branch Manager at EJ located in New Lenox, IL, and he has been involved in the underground construction industry for over 25 years. He is a member and active participant in numerous contractor and industry associations; and he has been asked by the Mayor to use his knowledge in the underground industry to serve as the City Council’s water liaison. J.R.’s hobbies include golf and bowling, and he can also be found cantoring at St. Joseph Church on the weekends.